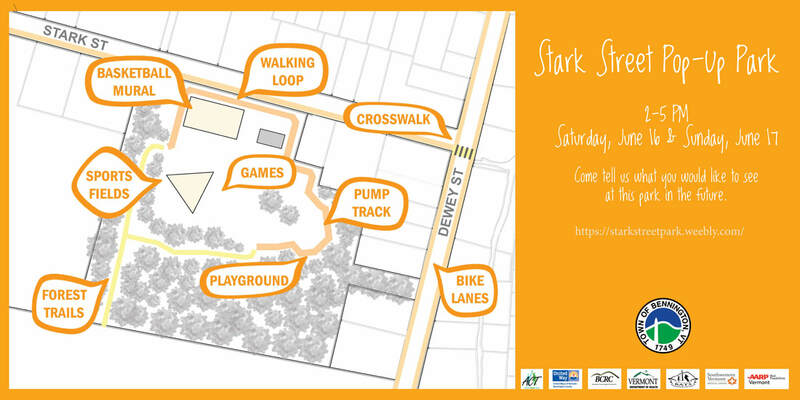 Bike and walk to Bennington's neighborhood park: Temporary bike lanes, crosswalk, pump track, and activities will invigorate Stark Street Park near downtown Bennington. Please come to experience the park anew and provide input on how to improve the park in the future. Parking available at Town lot, SVMC campus, and the Elks Lodge. Fun for the whole family - see you there!